I was chuffed to be invited to join bloggers and diabetes advocates from Belgium, the Netherlands, Switzerland, Sweden, Finland, the UK and other places I have almost certainly forgotten for the Medtronic Diabetes Community Exchange 2018 at Medtronic's European HQ in Tolochenaz, Switzerland. 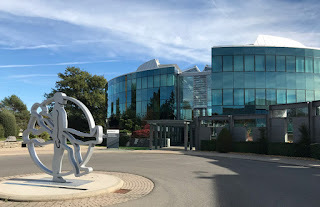 I was particularly pleased to be invited to walk in the footsteps of the legendary Alison and Tim from Shoot Up or Put Up and to needlessly and completely unnecessarily rekindle the rumours that Medtronic have an entire department dedicated to the drowning of puppies in their relentless pursuit of evil. Rumours which are, of course, entirely untrue. And completely made up by Tim. Or are they? We arrived on Thursday afternoon and were swiftly transported to the impossibly quaint, beautiful and strangely fragrant 'Chalet Suisse' restaurant where we were treated to a slap-up meal composed of cold meats, pickles and industrial quanities of gently bubbling cheese into which we enthusiastically dunked hunks of white bread. Fluffy white bread, a vat of cheese and a little alcohol. What easier meal could there possibly be for a tableful of pancreas impersonators to contend with? 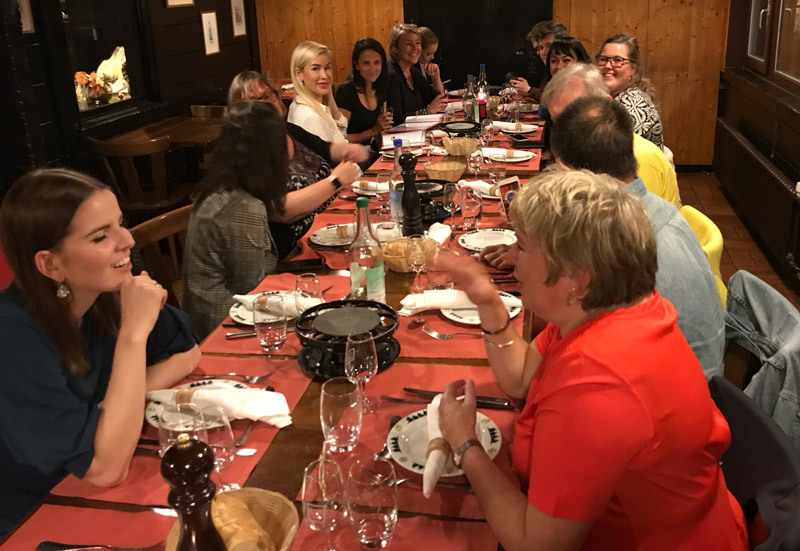 As inevitably happens at these events, people with diabetes quickly feel at ease with each other and conversation flowed to a burbling soundtrack of bleeps and buzzes from various bits of diabetes kit. It was a very lovely evening. Thanks Medtronic! All those friendly faces and barely a functioning pancreas between them. 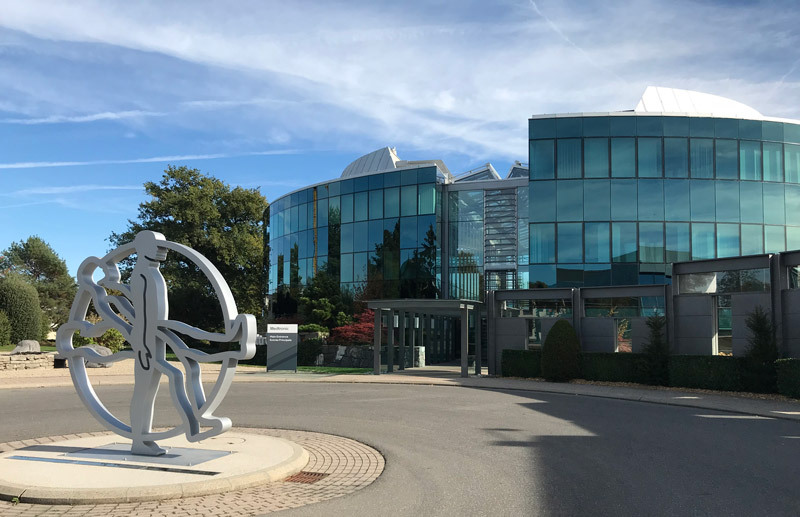 It was perhaps no surprise that Medtronic had invited us during this particular week - in which their latest hybrid closed-loop insulin pump system launched in Europe. The launch begins with the UK, the Netherlands, Belgium, Sweden, Italy and Slovenia as of 10th October, with Finland and Denmark following hot on our heels next week. I have been using Medtronic pumps for the past 7 years or so, but others around the table used other brands, pods or MDI injections. Inevitable device timeline pic. No future dates, naturally. The MiniMed 670G launched in the US in June 2017, and the version launching in Europe is almost exactly the same. If you are new to the snazzy concept of 'sensor augmented pumps' (and why wouldn't you be?) the basic idea is that you combine an insulin pump and CGM (continuous glucose monitor) into one device. At it's simplest, the pump acts as a receiver for the sensor glucose and allows display of current glucose values and can alert the wearer if levels are rising, falling or generally going off kilter. The really clever stuff starts to happen though, when the pump uses an algorithm to act independently on the basis of the received sensor glucose values. On my MM640G I allow Threepio to silently and automatically take action and cut off my basal insulin if my BG is predicted to fall below 3.9 within 30 minutes. This has saved me countless low level hypos whenever I have been able to afford a sensor. If you're interested in the details there's a little animation explaining how this works here. The MiniMed 670G adds extra oomph to the mix by also having the ability to increase basal insulin where sensor glucose is rising. Gary Scheiner, who wrote 'Think Like a Pancreas' wrote a review of the MM670G after it launched in the US which has a good deal of detail if you are interested, but which also prompted several questions for me. The MiniMed 670G uses two main targets, neither of which can be changed by the user. Overall it aims to direct your glucose value towards 120mg/dl (6.6mmol/L). 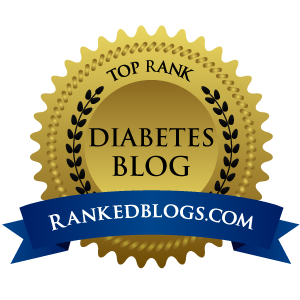 Where it is taking corrective action for elevated sensor glucose, it aims towards a target of 150mg/dl (8.3mmol/L). These were the launch values in the US, and will be exactly the same for the UK version. A number of options that experienced pump users might expect to be able to use (temporary basal rates, dual (combo) wave, and square (extended) wave boluses are unavailable in auto mode. From what I can tell, things like differing basal patterns for weekdays/weekends do not apply in auto mode either. Nor can you alert the system that you are about to undertake exercise in advance. In fact there seems to be very little you can adjust and tweak in auto mode aside from insulin:carbohydrate ratios and Duration of Insulin Action. If you are planning to exercise you can temporarily set the pump to aim for the higher target, but that's about it. All of this may fill you with dread and impending frustration. Or it may elate you with gratitude of being able to hand over responsibility almost entirely. Users can, of course, use the pump in 'manual' mode whenever they wish. This would give them effectively the same choices/options as the MM640G, but doesn't take advantage of the additional automation on offer. No. Well... not regulated, approved and currently commercially available no. But of course the MM670G is not being released into a vacuum. There are other emerging sensor augmented pumps (eg Tandem T:slim) which incorporate predictive low glucose suspend (rather like the MM640G). Alongside which there is a growing community of enthusiastic loopers who have decided #wearenotwaiting and use a variety of homespun, and significantly more tweakable, options. Of course not everyone has the confidence to build their own diabetes device - I am assured that these are no longer cobbled together from bits of string and paperclips, but nevertheless still do require careful configuration, software and in some cases additional DIY hardware. Additionally many loop solutions currently require older out of warranty insulin pumps. This may not be the case for long, nor might OpenAPS and Loop's unregulated status continue, now that Tidepool have committed to developing Loop as a supported, regulated app available for users on a range of in-warranty devices. It's fair to say that I was very enthusiastic about the prospect of the MiniMed 670G about a year ago. But things are moving so fast these days, that this is already beginning to feel like an older model. And as an inveterate fiddler the idea of so few settings being settable by me is a bit... well... unsettling. What I found very interesting, was the observations Medtronic have made from 3.2 million days of data since its launch in the US. Essentially, they suggest the MiniMed 670G tends to work better in people who don't fiddle and try to come up with their own ways of working around not being able to alter settings. 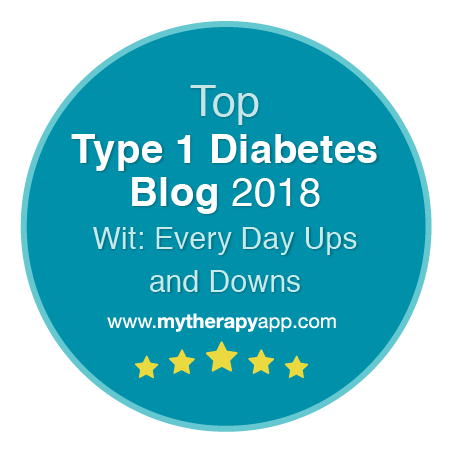 Often people who are new to an insulin pump, who have not already built up a library of hacks, tricks and strategies to bully their pump into doing what they want it to. People who simply give the MM670G the information it requests and heed the alarms, who keep the sensors well calibrated, and who count and supply carb information of meals and then let the pump do its thing, are the ones who tend to get the better results. 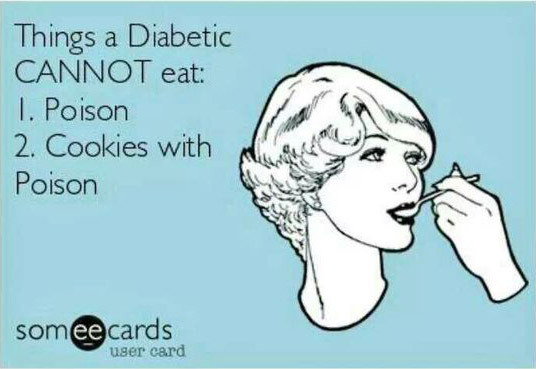 I am aware from my own relentless tweakery that at least some of it is frequently down to constant changes in insulin sensitivity and insulin need (and working around times when my pump settings aren't quite right). I suspect that one of the main reasons behind the lack of tweakability on the MM670G is the closely guarded algorithm. This updates up to 17 different parameters at midnight every single day, based on the previous 24 hour's worth of data along with a rolling average of the previous 5-6 days. Essentially the pump is continually adapting and tailoring itself to you. So those unmovable targets may not seem to be what you have chosen, but the intention of the MiniMed 670G is to keep your BGs as stable as possible to increase your time in range, to reduce glucose variability and to reduce hypoglycaemia to almost nothing. At least... that's the idea. Medtronic are quite upfront that this is the first iteration of this algorithm, based on dozens and dozens of research papers, and that it is intentionally cautious. Other more 'aggressive' versions with greater user control are being strongly hinted at. A consequence of the 'machine learning' of the pump adapting to you as an individual though, is that it does take a few days of sensor wear for auto mode to become available (48 hours from midnight following sensor start). I'm not exactly sure how that would impact occasional-sensor-users like me, who cannot afford full-time coverage, but it's clear that only a portion of each sensor for me would be auto-able. In theory sensors can be restarted just as they can on earlier enlite-using pumps (sorry Medtronic! 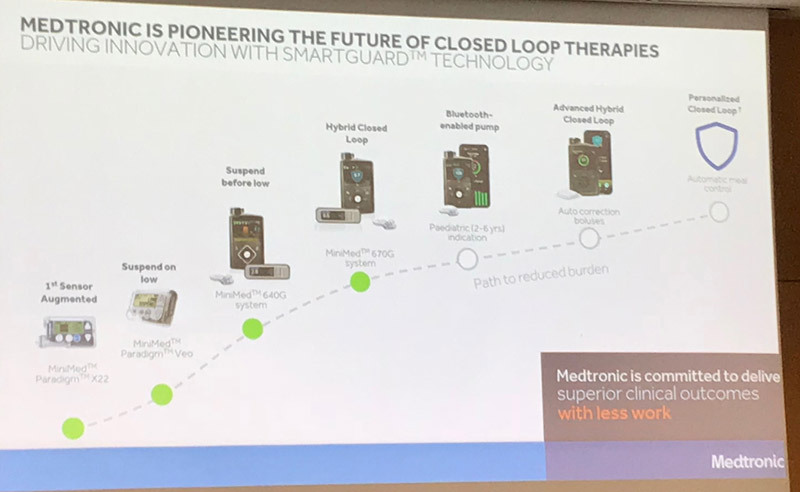 ), but this newer pump uses Guardian 3 sensor technology, and because the MiniMed 670G has more control over insulin delivery it makes more checks that the sensor data being received is of high enough quality. Without having used it, it's impossible to tell whether it would get twitchy and drop restarted sensors earlier than I am used to. It was a delight to meet Rob Howe a Texan ex-pro basketball player and MiniMed 670G user. Tall, slim, athletic, and with that easy, effortless charm that seems to be the gift of so many Americans. He shared his experiences and took part in a Facebook Live broadcast after which we were able to ask more questions. 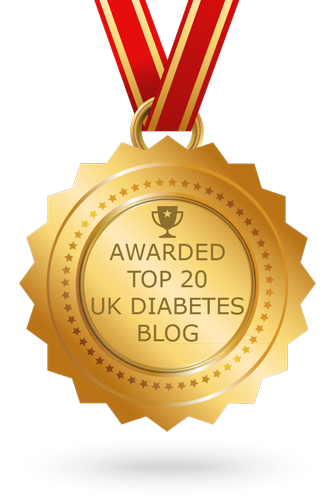 Rob was an enthusiastic MM670G poster-boy, and having moved from MDI/CGM to an insulin pump with an impressive HbA1c of around 6.2% (44mmol/mol) he was obviously no slouch when it comes to BG juggling. When asked about changes he had noticed during his year on the pump, one of the most striking was that his regular weekly order of two 1 gallon containers of orange juice he kept in his fridge to treat overnight hypos started to go off before he could use them. They simply weren't needed any more. As a basketball player and all around active type, he also seems to have put the MM670G through its paces exercise-wise, from high intensity BG boosting sprints/weights to longer distance runs of 6-10 miles. Rob was able to keep the pump connected throughout exercise and allowed it to manage his activity, with great success it would seem. Initially Rob said his HbA1c rose a little, perhaps up to the mid 6's (48mmol/mol), but seems to have settled back to the low 6s since. So while the fixed settings on the MM670G algorigthm seem to target an HbA1c of approx 6.7% (50mmol/mol), it looks as though, once again, Your Diabetes May Vary. It will be fascinating to see more accounts from real users 'in the wild' across Europe. Several people in the group were about to start with MM670G in November. There was an extended discussion during the end of the afternoon where bloggers raised concerns and questions. There are plans to subtly alter the materials and structure of the MM6xx cases to help avoid those battery compartment cracks (which in turn will mean Medtronic don't have to replace those pumps), plus small alterations to clips, and clip rails. Medtronic are planning a version of the MiniMed 670G which will be able to communicate to phone via Bluetooth. It is notoriously difficult to predict how long it might take to get devices through regulatory approval (and goodness knows what additional chaos Brexit might add to the mix for us in the UK), but reading between the carefully veiled lines it seemed that they were hoping it might be in the next year or two. No promises etc etc. Perhaps even more interestingly... this version of the MM6xx series would have the ability to receive updated software/firmware after distribution. 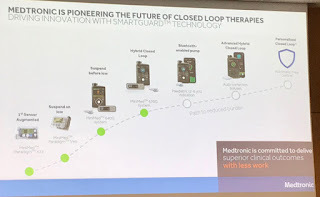 This is something that Medtronic have been inching towards for some time, and could significantly accelerate the takeup of new and better pump versions where the hardware is essentially identical, and it is only the algorithm which needs updating. One thing is for certain. The rate of change in diabetes devices doesn't look to be slowing down any time soon. Disclaimer. Medtronic Diabetes invited me to attend the MiniMed 670G European launch in Switzerland. They paid for my economy travel, transfers, accommodation, the welcome meal and lunch at their offices. 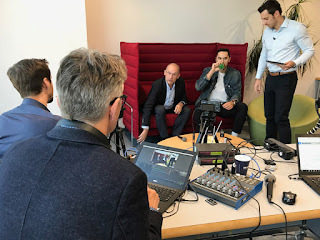 I wasn't asked or paid to write this blog post or any other social media posts connected to the event. They also included a nifty little Medtronic branded battery power pack thing in a 'welcome' bag. Oh and a pen too. 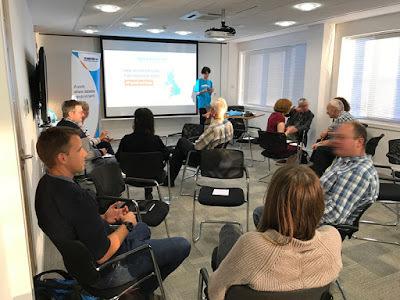 It was great to get together with 30 or so people with diabetes and DUK folks last night in Bristol to consider how to challenge the local behemoth BNSSG CCG (Bristol, North Somerset, South Gloucestershire) to rethink its current 'flat no' position on prescription of Freestyle Libre in the city and surrounds of Bristol. The event was organised by local legend and all round good egg Sandra Tweddell, who works and campaigns tirelessly to improve the lives, opportunities and experiences of PWD. Sandra called on the wonderful folks from the South West office of Diabetes UK who set up and supported the event. 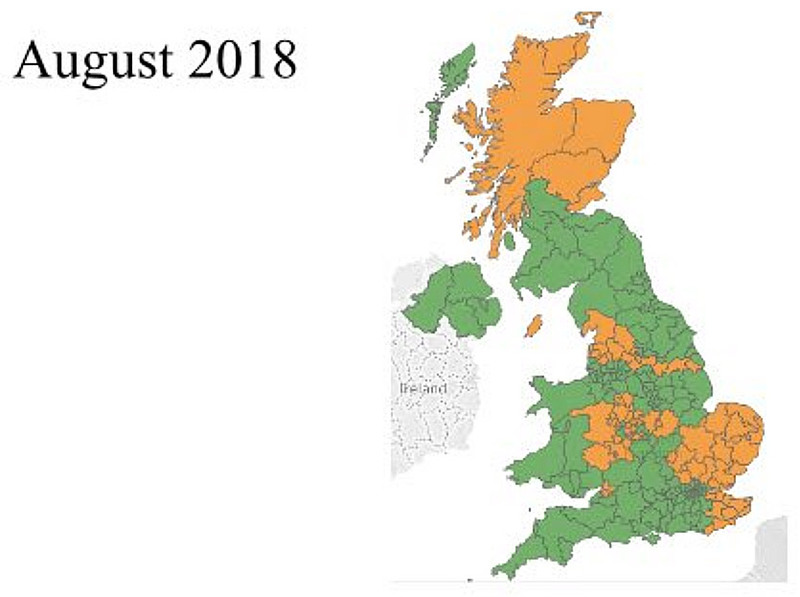 Bristol's expansive CCG extends to areas around the city, and depending on which of the maps I found online are the most up to date is either one of the last or absolutely the last CCG in the South West to approve Freestyle Libre for prescription. The CCG initially dismissed Libre despite strong support from local specialist diabetes Consultants and DSNs who submitted a very strong case document outlining the potential benefits and cost savings, and national position statements from RMOC, Diabetes UK and the Association of British Clinical Diabetologists. It is slightly irritating that Bristol suggests 'lack of evidence' as one of their main reasons for denying access to Libre since it was only this year that Bristol finally stopped supplying homeopathic treatment on the NHS. One of the last areas in the country to stop funding a treatment for which there appears to be absolutely no robust scientific evidence at all. Their other, and cynically I might suggest more pressing reason, is a substantial budget deficit. An eyewatering £58 million black (or possibly red?) hole in their finances which is inevitably applying significant pressure on their committees to not pay for anything they absolutely don't have to. It is also striking that while Bristol has internationally recognised specialists and expertise in diabetes research, some of the outcomes for treatment leave a lot to be desired - our record for lower limb amputations ranks as one of the worst in the country, for example. 80% of the UK entire budget spent on diabetes goes on treating complications of living with diabetes. When it goes wrong, we are very expensive to treat. Dividing into small groups to brainstorm. The event attracted a wide variety of people, from those diagnosed 40+ years ago, to others with less than 12 months of pancreas impersonation under their belts. After a brief introduction by Diabetes UK's Stefan, we gathered in small groups to brainstorm ideas on 3 different questions: Why do we think the CCG is denying Freestyle Libre in the area? What could we do to convince the CCG to change their minds? and Who could help the campaign? An absolute torrent of ideas followed. The CCG's position seems fairly entrenched at present and revolves around a perceived lack of evidence, very real financial constraints and perhaps a lack of understanding of the nature of diabetes and how a piece of monitoring technology genuinely can help. Encouragingly discussions inside the CCG are still ongoing (perhaps they are already feeling the pressure) and Diabetes UK is meeting with them later this month. We seem surrounded by people who can help to remove the postcode lottery - several of whom are in positions of significant influence. Everyone's second favourite NHS England Associate National Clinical Director for Diabetes, Partha Kar is making 'gloves off' murmerings where CCGs are resisting Libre and maintaining the postcode lottery, while Keith Vaz and the APPG are mustering Parliamentary support. As Libre has rolled out across the country and clinicians have begun to share the transformation in quality of life and hard-data outcomes that Libre is bringing to their patients, there surely will come a point where these can no longer be dismissed as merely 'anecdotal'. We were keen to find out exactly what was 'lacking' about the evidence that the CCG had already reviewed, and specifically what sort of evidence they were looking for. It was great to see the enthusiasm in the room. A real desire to challenge the decision, to clarify the potential benefits to the correct population of PWD (and the potential cost-savings that can result both in the short, medium and long terms). Added to which the annoucement of a CE mark for Abbott's shiny new Libre2 at EASD this week which offers the option of alerts and alarms that many Libre users have been wanting for so long. And the current news seems to be that Libre2 sensors and its reader will cost exactly the same as Libre1. The meeting closed with commitments to keep up the pressure, write to MPs, involve the local press, liaise with local HCPs and specialists. There are plans to gather more information and case studies of the benefits & cost savings other areas are experiencing (particularly where these include substantial short-term savings eg for hypoglycaemia and DKA admissions). There was also a genuine desire to try to get in front of the CCG in person and/or as a group. I may have accidentally suggested going mob-handed to the CCG AGM or a similar public meeting dressed as Jelly Babies. A Flashmob, if you will.